When Nathan Boynton first set his eyes on the area that now bears his name in 1895, he was so impressed by the natural beauty of the year-round sunshine and pristine beaches, he built the famous Boynton Hotel, where he also spent winters with his family. The first settlers, whom Boynton had brought along from Michigan, soon realized that many fruits and vegetables thrived in the fertile climate. This set the foundation for families to thrive in Boynton Beach for years to come. Now over 100 years later, Boynton Beach is home to thousands of residents and businesses who value reliable and trustworthy individuals. Amongst these are the reliable moving company Lux Moving and Storage. All of our movers are long time residents of Palm Beach and are well-known in the community. We are adamant about providing the highest quality moving services throughout Boynton Beach. For a moving company that values your items, time and customer satisfaction, Lux Moving Storage is Palm Beach’s #1 choice! The city of Boynton Beach is the third largest municipality in Palm Beach County with an estimated population of approx. 70,000 residents. 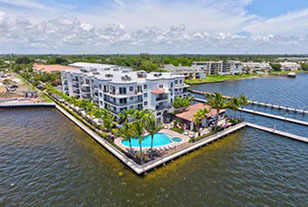 Residents of Boynton Beach enjoy a tropical lifestyle with waterfront dining, abundant shopping and lively entertainment throughout the week. With hundreds of restaurants, outdoor lifestyle shopping centers and a regional mall, residents do not have to travel outside the City to dine, shop or to be entertained. 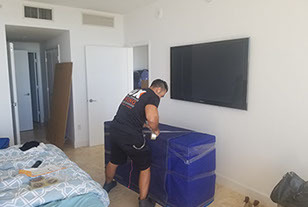 As experienced movers familiar with the area of Boynton Beach, we take pride in knowing that Palm Beach is our home and we’re fortunate to serve both residential and commercial moving services to everyone. Servicing the Boynton Beach area for over 10 years now, Lux Moving and Storage have come to know all of the 16 square miles of Boynton Beach. We have left lasting impressions on the toughest client critics. All over the city we continue to go above and beyond customer expectations, making a standard practice out of our client’s satisfaction. Be one of many to have a truly great moving experience and reach out to us for your moving needs. Give us a call and see why Lux Moving and Storage is so highly recommended in the moving industry.